Today’s Education in the media looks at Universities Minister Sam Gyimah’s speech at the Higher Education Policy Institute conference today and the work we are doing to help children with autism. In his speech today at the Higher Education Policy Institute (HEPI) conference, Minister Gyimah discussed new analysis commissioned by the department on graduate earnings. The report found that – when comparing similar graduates –those from the highest socio-economic background had graduate earnings around 8 per cent higher than those from the lowest. In terms of the affect certain subjects have on earnings studying medicine or economics adds 20 per cent to graduates’ earnings, while going to a Russell Group institution adds between 10-13 per cent. The HEPI has also published its annual Student Academic Experience Survey report which shows a small rise in the number of students who believe they are getting better for value for money but 37 per cent believe they are not. The Teaching Excellence and Student Outcomes Framework will help applicants make better choices, and ensure that more students get the value for money they deserve from higher education. Students will have more information than ever before, allowing them to drill down and compare universities by subject and hold universities to account for the education they provide. The survey also found that university undergraduates are more likely to have lower levels of wellbeing than all young people aged between 20 and 24. Only 17 per cent of students said they felt their life was highly worthwhile, compared to 22 per cent in 2016. It is essential that all students can access the support they need at university, especially with regards to mental health. We know that many institutions offer the right advice and counselling services to students that need them, but we want to see measures in place across the board. This includes prevention measures designed to support and encourage students in maintaining good mental health as well as supporting them when issues do arise. The Today Programme, The Independent, The Times, The Telegraph, The Sun, BBC Online, The Daily Mail and Metro all covered the various announcements. With four universities in the world’s top ten, the UK’s HE sector is flourishing and offers an almost unrivalled offer to students across the globe. But we want people to study subjects according to their strengths and passion, and to do so with the knowledge of what that degree actually offers. This new analysis by Institute of Fiscal Studies reveals the stark reality – that where and what you study does matter. That’s why I’m calling on universities to work with the government, to open up information about their courses and their outcomes – to help all applicants, regardless of their background, make more informed decisions and get better value for money. Today, Thursday 7 June, the charity Ambitious about Autism released a press notice stating that there has been a dramatic rise in the number of exclusions for autistic children. Any decision to exclude a pupil should be lawful, reasonable, and fair, and permanent exclusion should always be used as a last resort. 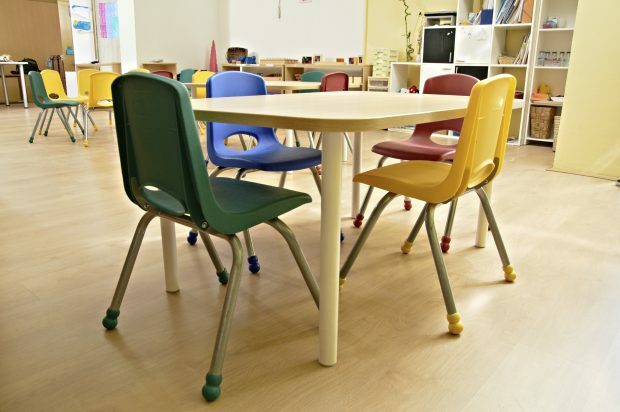 The department recently announced a review into the use of exclusions – to be chaired by Edward Timpson – and this will specifically consider the exclusion of groups of pupils identified as more likely to be excluded, including autistic children. In March 2017, we also announced an allocation of £215million in capital funding to support children with SEND. It is important to note though that exclusion from school does not mean exclusion from education, and duties are in place to ensure that education is arranged for children who would not otherwise receive it. To partner with this, the government has committed to bring forward proposals to ensure that this alternative provision is the very best that it can be and gives every child the opportunity to fulfil their potential, which in March led to us to publishing our vision for reforming alternative provision. BBC Breakfast and Sky News, TES and BBC Breakfast all covered the press notice. We want every child with autism to have the support they need to unlock their potential, no matter what challenges they face. Thanks to this government’s reforms, more children and young people with special educational needs and disabilities are getting the support they need at school and college, and the number who move on to training schemes, apprenticeships or supported internships is increasing. We know more needs to be done to make sure that vulnerable children are not unfairly treated. We have launched a review of school exclusions, led by Edward Timpson CBE. The review aims to explore how school use exclusions overall and in particular why some groups of children – such as children with autism – are more likely to be excluded than others.